Achieving 'Behaviour Change' essentially comes down to making the desired behaviour an obvious and effortless (lazy) choice. 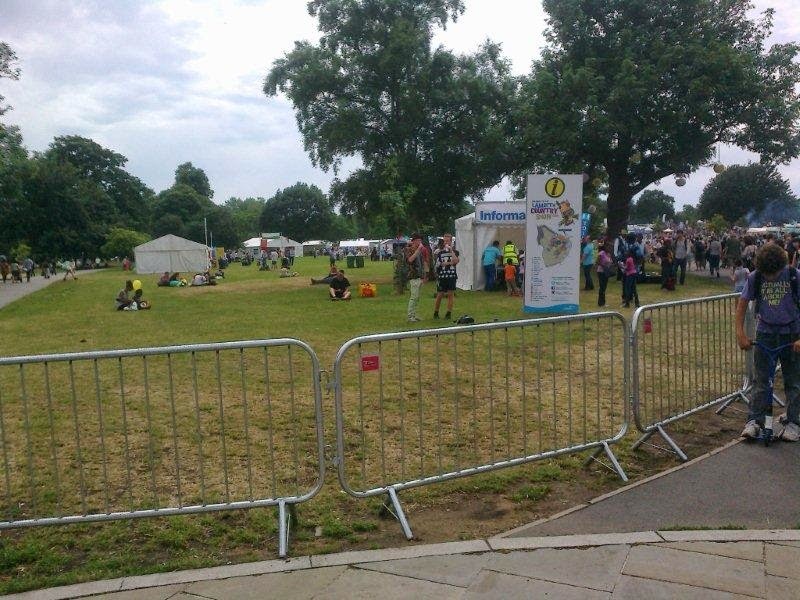 Lambeth Council's website included the fact that secure temporary cycle parking would be provided at this year's Country Show, and today a couple came over to the Lambeth Cyclists' stand and said they'd decided to come by bike having been reassured about the cycle parking. That's brilliant. 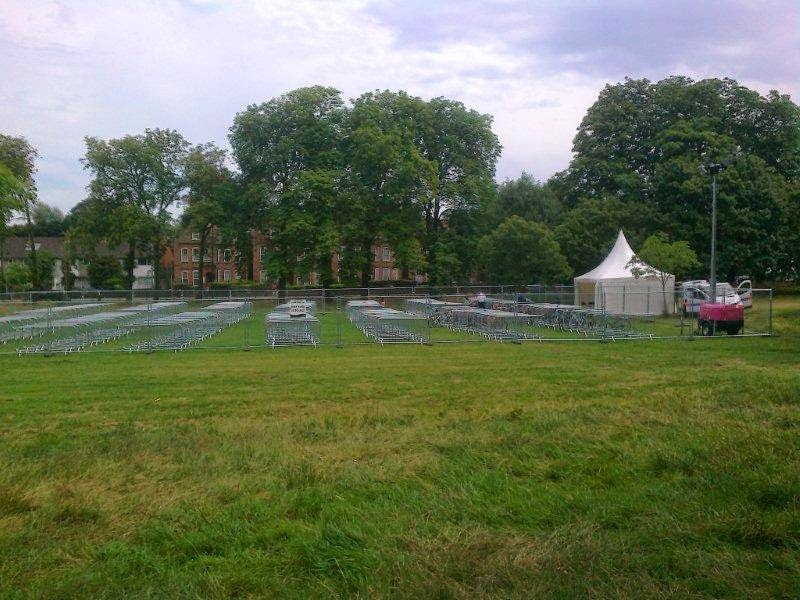 I was pleased because I'd recommended installing additional temporary parking after last year's event. 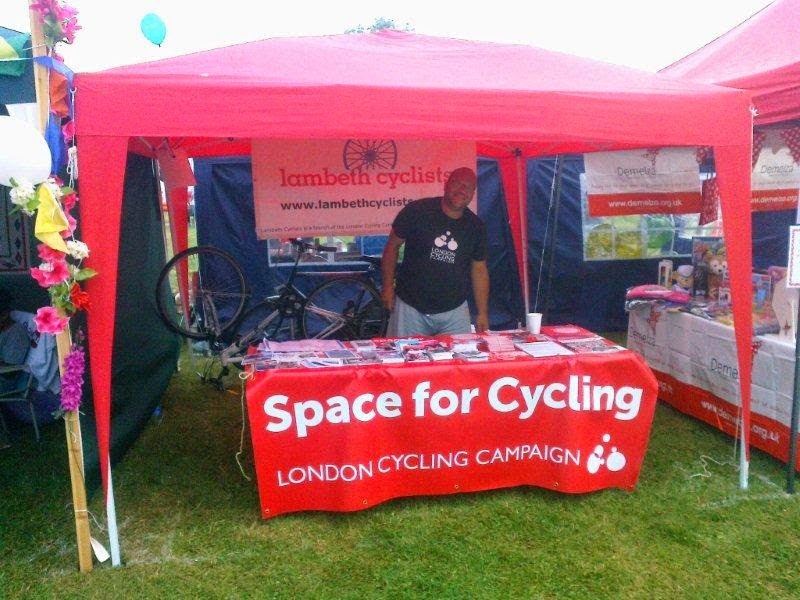 It's the sort of thing that makes sense to do if, as Lambeth Council were advertising at the event, you want cycling to be normal for everyone. Isn't that a great message to put out. But I was puzzled because, despite knowing it would be present, I hadn't spotted the parking via the Lido entrance though the usual racks were full. 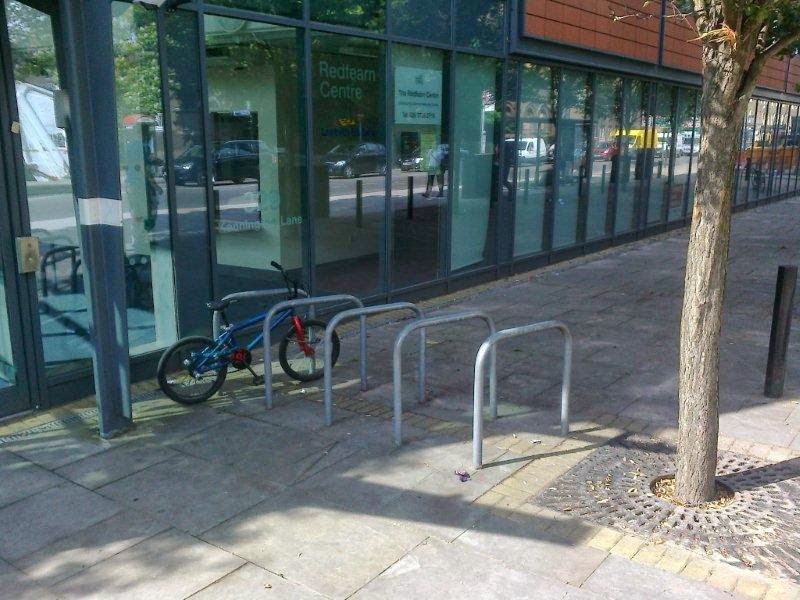 Nor had I noticed the temporary cycle parking at the Herne Hill entrance below. I retraced my steps to the entrance and there, on the way out, I spotted a sign (below right) advertising the cycle parking. 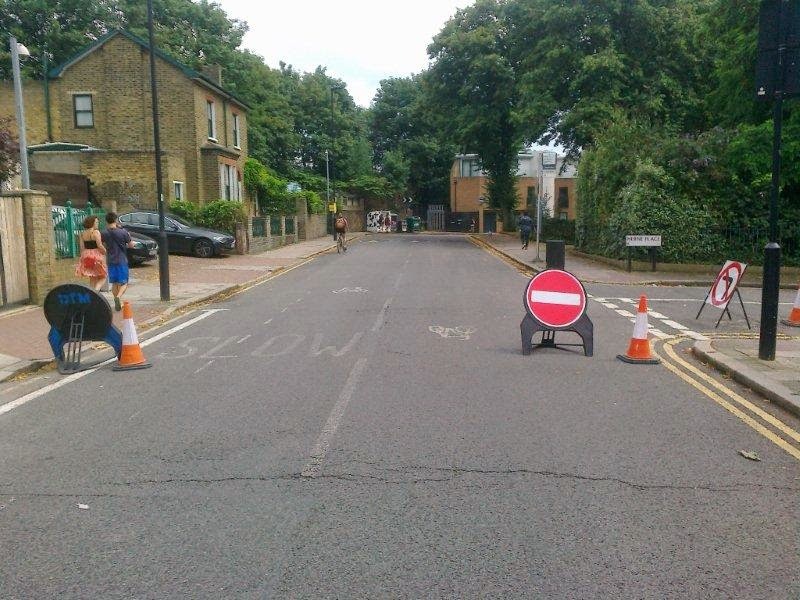 It would be great if Lambeth can continue with the temporary additional parking next year, but it needs to be located by the entrance(s) so obviously that no signage is needed. 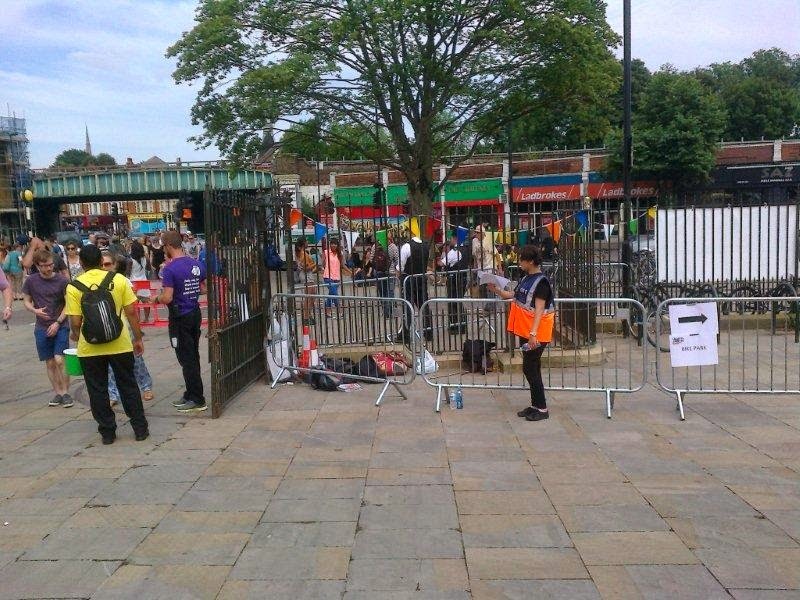 A further improvement would be for the No Entry signs, used to restrict motor traffic in Railton Road for the event, to have 'except cycles' added. Overall I don't find the document intuitive to use and it can be repetitive. I would prefer to see legal and technical construction/maintenance aspects separated from design, with a superscript linking to relevant legal/maintenance aspects. 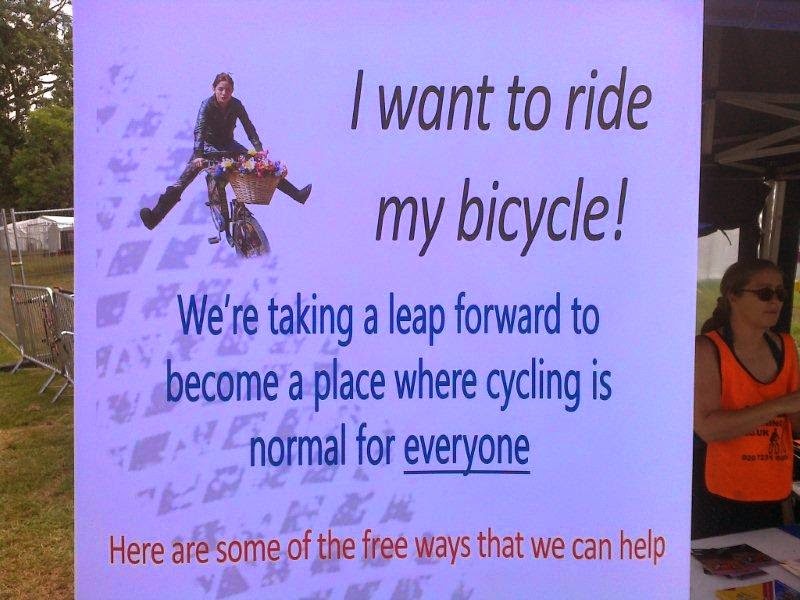 Change ‘and address negative perceptions about safety’ to ‘and make cycling feel safe and appealing to all’. 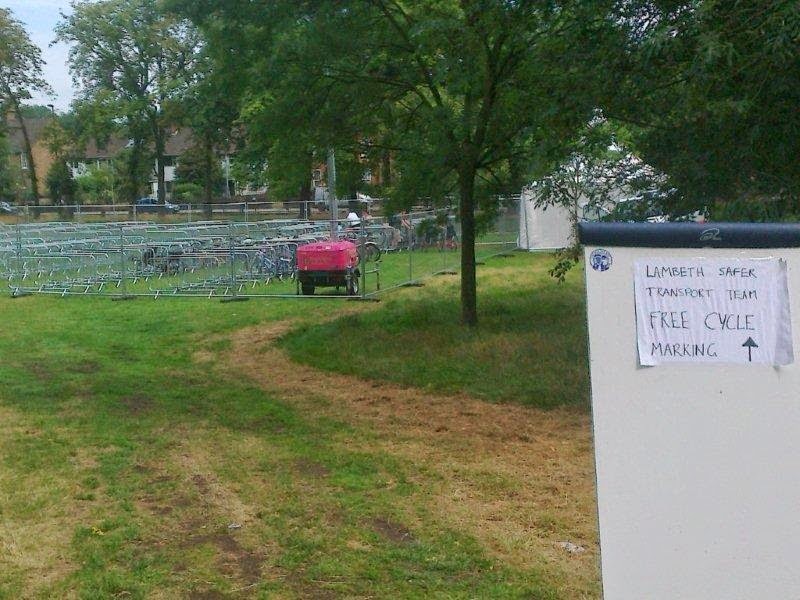 Remove ‘for the majority of cyclists’. Image and text of a ‘bad example’ seems to show a clearly marked cycle track of reasonable width paralleling a major road. I don’t think this is a good example of lack of coherence to use here. I don’t know where pedestrians are meant to walk though. I would prefer this to be used mainly in the Dutch sense of ‘Attractive or appealing to cycle along’ – for example inviting sociable side-by-side cycling. 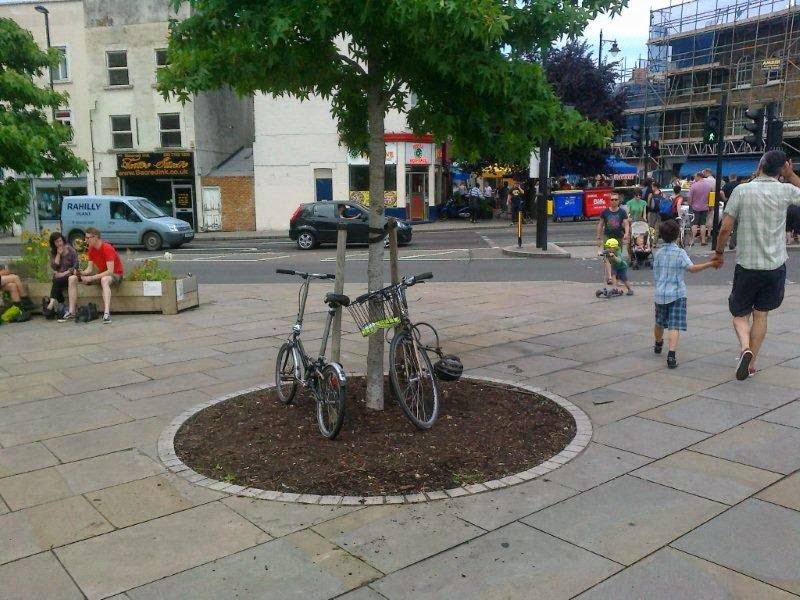 ‘Enhancing the public realm’ can be a secondary aspect. 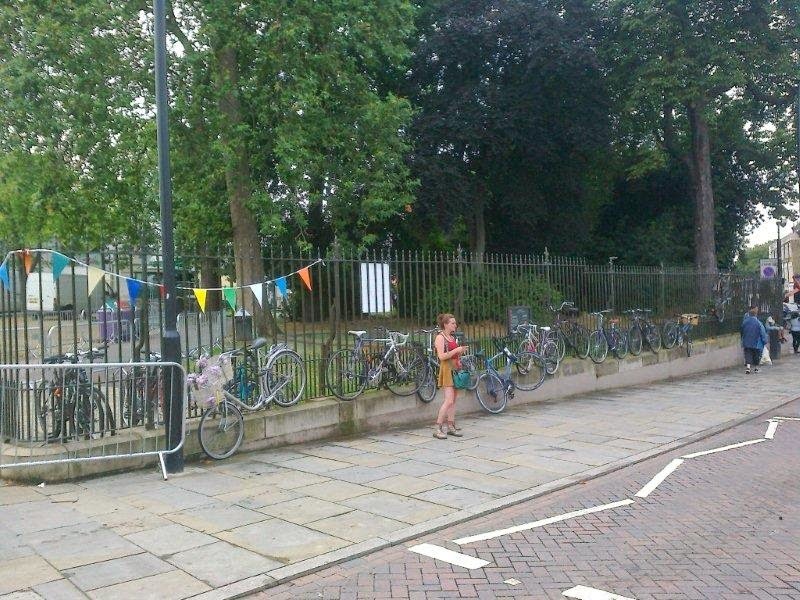 Para 1 – Most current cycle provision is shared space with motor traffic, reflecting a belief that people who want to cycle will ‘man up and keep their wits about them’, rather than take a less challenging transport option. Quietways will normally only work as alternatives to main roads when the route is as obvious, convenient and quick as the main road. Convenience includes provision of cash machines and convenience stores. 1.1.11.8 Add ‘However where quiet routes can run parallel to unfriendly roads, there needs to be provision to access facilities on the unfriendly road and to cross them in a safe and appealing way. 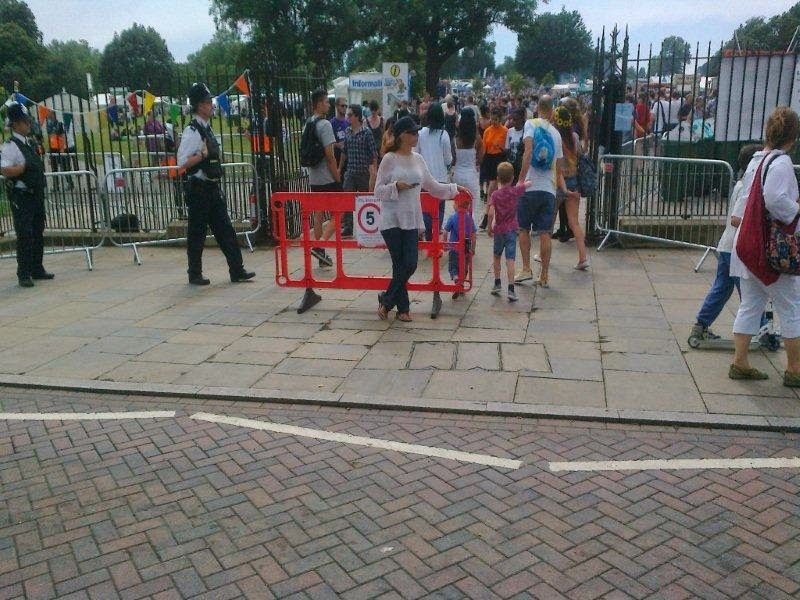 First line: Cyclists, including children - and other road users -…. Designers should have undertaken Bikeability cycle training to level 3 and have taken a child along on a ride. A regular cyclist is needed to be involved in the design process. 1.1.11.19 sentence starting ‘In winter…’ needs an ending, such as ‘when they should normally be the first to be cleared’. 1.3 – Local Streets may have a medium or high movement function for pedestrians and/or cyclists – e.g. LCN3 or are streets on Quietways designated as ‘Connectors’ in the matrix? 1.3.9 redundant in design manual. Ditto 1.3.10, 1.3.11. Isn’t all this in Mayor’s strategy? 2.1.25 Are Green movement junctions sure to be child cycle safe and appealing? Fig 2.5 – Area-wide speed limit/reduction belongs in Amber box. Undertaking a classification of roads should not be done on the level of experience needed to ride it comfortably, but on the ease of riding without conflict on the road. This classification needs to be done during peak hours of travel for children and adults. Children will not be permitted to ride or enjoy riding on many of London’s ‘secondary’ roads, especially during peak travel times. Red Plus – multi-lane gyratories and roads with large volumes of queuing motor traffic that cyclists have to sit amongst (e.g. The Strand) or battle to filter through. Classifying junctions into Level 2 or Level 3 Bikeability is to be avoided. Traffic lights feature in Level 3, so not taught to most school children. However the principles of traffic lights are dead easy to grasp and they are often used on secondary roads to cross major roads (e.g. Thorne Road to Aldebert Terrace on LCN3 in Lambeth). Those roads could be made Light Green and the lights would not be an issue in themselves. Line 5 – pleasant and efficient crossings. Green should only apply when gateways are on principal desire lines. Not green for example if there are two gateways but both on the same side of the box if people want to cross through the box and out the other side. Need to distinguish between Pedestrian Streets and No Motor Vehicle Streets (where cycling is allowed). 2.4.5 Standing water can conceal potholes and other hazards, and glass etc. will wash from centre of road to area where water is standing. 2.4.5 Replacement covers must be badged identifying the owner – e.g. of extraneous level of detail that clogs this guide. 3.1.7 Are pedestrians not road users? 3.1.8 Worth emphasising that cyclists use most energy slowing and accelerating; whereas maintaining a speed is a low energy activity. I would like to see advice on staggered junctions, including use of nearby pedestrian crossings to facilitate crossings. Is a right to left stagger better than left to right, other things being equal? 4.3.2 Photo shows 1057 symbols in wrong place with regards to Bikeability teaching - maintain a straight line past the parked cars (the width of the door and a little bit more) and the minor road. 4.4.27 line 2: a particular what? 4.4.38 Denmark, where there is normally no separate pedestrian phase as turning traffic must give way to pedestrians continuing. ASLs are about vehicular motoring and their inclusion in this manual should be in doubt. Should they remain the large 1057s straddling lanes may be better replaced with a regular 1057 in the centre of each lane, nurturing ‘Bikeability’ positioning. I expect lane width to feature in this section. 5.6.2 A segregated side for cyclists works best when one side (the one the cyclists travel along) is off a pedestrian desire line – e.g. adjacent to railings as shown in Hyde Park image, or near the edge fence/hedge of a park as dog owners are likely to throw the stick into the field, and children kick the ball that way. 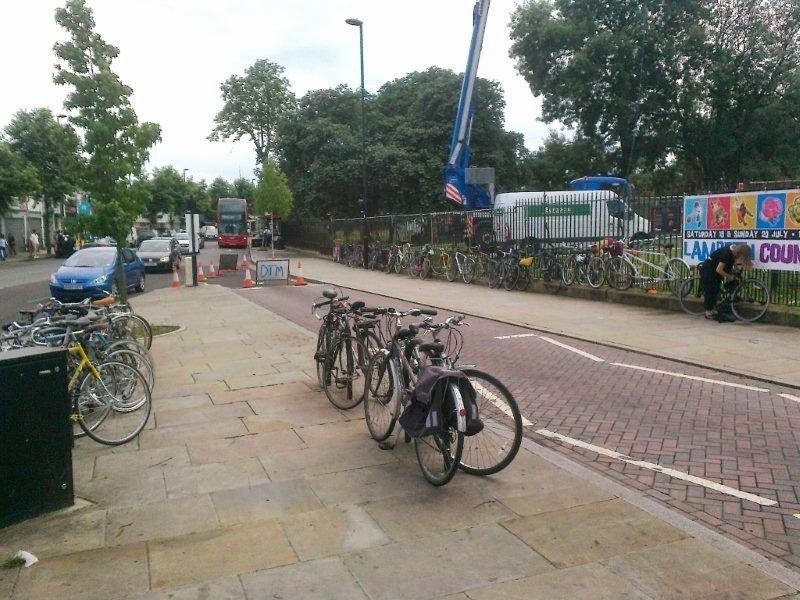 Come along next Tuesday 15th July to Lambeth Cyclists monthly meet at Stockwell Community Centre, 1 Studley Road, Stockwell SW4 (behind Stockwell tube station) at 7:30pm to find out from Lambeth Council what's happening on the cycling and related transport front. I've put together a list of topics of interest, below, and suggested a briefing note would be useful so we can concentrate on questions and answers. 2011-2014 Lambeth Transport Plan: Outcomes against targets and reasons. How does the Council monitor this and when/where are outcome reports published? LIP programme of investment for 2014/15 to 2017/18. Lambeth staffing structure and outsourcing principal contractors for design/build etc. • The Central London Grid (covering Waterloo and Vauxhall) – the network and funding are due to be confirmed in the summer, but Lambeth has been told that the network it submitted for the consultation at the beginning of 2014 was too dense, and that only a few key routes will be funded. • Quietway 2 – Waterloo to Greenwich – this route mainly passes through Southwark, with a short section in Lambeth, is one of the first two Quietways in London to be funded by the Mayor. • Greenway from Ruskin Park to Archbishop Park – we had already started to work up designs for this route. It is not yet on the Mayor’s Quietway programme but we believe it should be as it could be progressed quite quickly. Streatham High Road A23 improvements. One-way to two-way for cyclists: Crescent Lane etc. Reason for failure to install sinusoidal humps on LCN3 in Turret Grove SW4 and when will remedial action take place? Cyclists in the City has challenged the £6m spend for London to host the Tour de France coming from TfL's cycling budget in his blogpost: titled "Should TfL bosses have taken £6million from the cycling (safety) budget to spend on Tour de France promotional work? Would it be acceptable for the Highways Agency to sponsor Formula 1?" 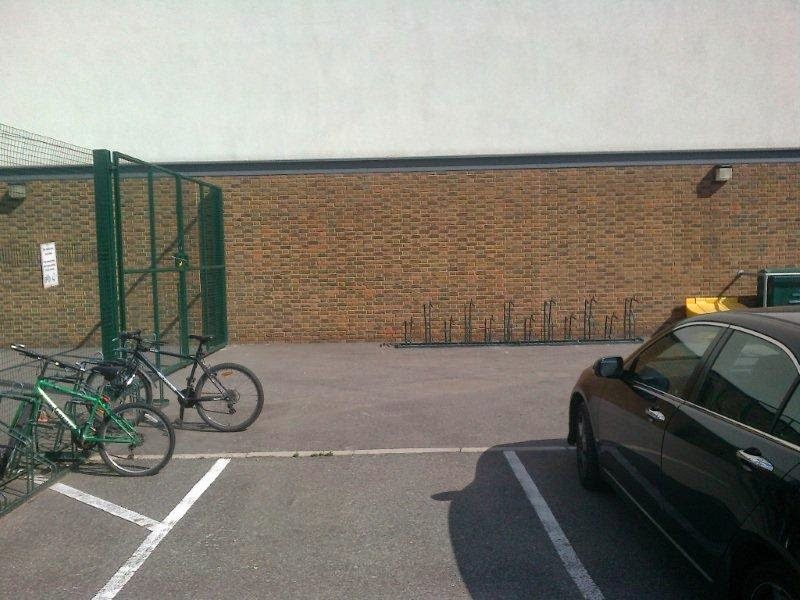 I thought it would be interesting to check how many bikes are in the racks at the local Lilian Baylis secondary school this sunny day after England's section of the Tour de France ended. The school is situated within a couple of miles of the finish line. There are many reasons why children may not cycle to school (proximity of housing; secure cycle parking at home; hostile roads etc.) and I don't have time to go into the ins and outs of that for this school just now, so I'll just put up the following pictures without comment. 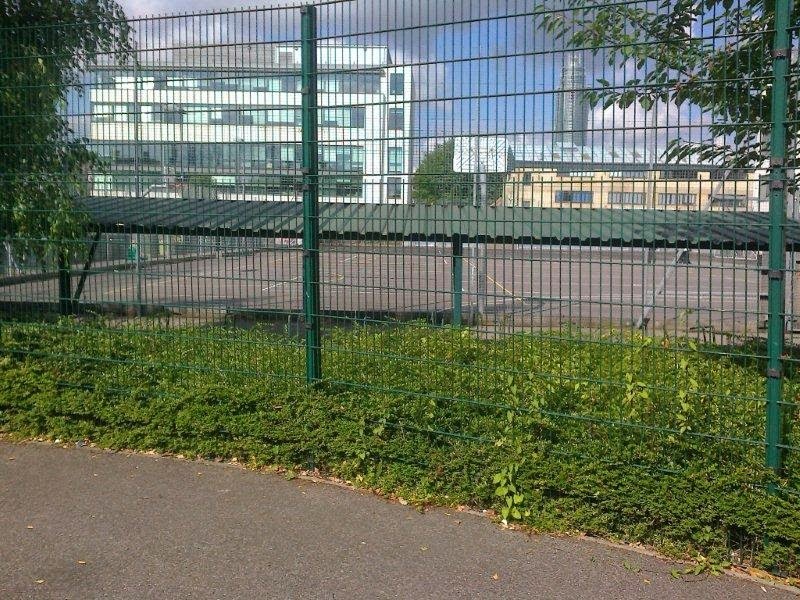 Below, the cycle racks in the school's (staff?) car park. I'm really heartened by the fact that the Academy has a v active bike club and hope there are no budget constraints against it continuing and growing. Time to refine school cycle training? I teach a lot of Bikeability, what used to be called Cycle Proficiency, level 2 in schools. The first session is in the playground, checking pupils' bikes are in okay condition and a reasonable fit, that the pupils can cycle competently, and that they will follow instruction when taken out to the roads. The following few days are on local roads, progressively developing until the pupils are turning right from a major road, wide enough to require moving across their lane and with some traffic, into a minor road. Children are trained and assessed for competency, consistency and confidence in undertaking the maneouvres. This is almost always done in primary school, ideally in year 6 before the pupils leave for secondary school. In practice Year 6 is SATs year, so many schools are reluctant to take a chunk of time out for this. In consequence there is a mad demand for courses between the end of SATs and the end of the summer of the summer term. So, it seems to me that year 7 is the logical time to do on-road cycle training. Old enough to judge speed and distance reasonably, at a school that is likely to be further from home than the primary school, more likely to be travelling independently, and without any exams that year. Year 5 or 6 in primary school should focus on off-road cycle control skills. Being older the pupils should pick up the basics of on-road riding to level 2 standard quickly, and additionally can be taught about roundabouts, traffic lights and lorries. A route to school could be rehearsed with the pupils. There can also be buddy systems arranged with older pupils and a range of other measures, such as cycling as a class on outings. There could then be a refresher and consolidation of the skills at the end of year 12 after pupils, aged 16 or 17, have taken their AS levels and before summer term ends when schools struggle to find useful activities for the pupils to do. This would serve two purposes, firstly to remind them of the ease of moving around their local area by bicycle, and secondly, to brush up their on-road skills which would be of benefit to those aiming to acquire a motor-cycle or driving licence. What do you think? I'm particularly interested in the views of secondary school teachers and pupils, and also the views of other cycling instructors.